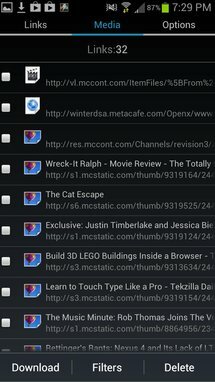 A few weeks ago, I selected 7 powerful file browsers for Android with unique capabilities. 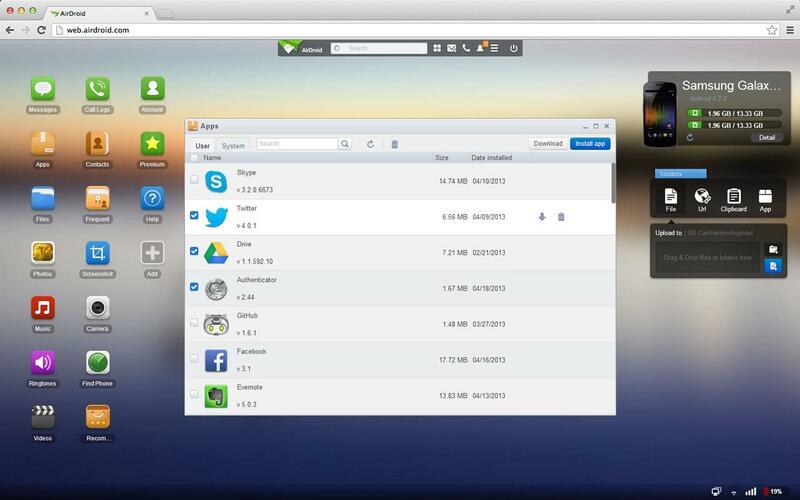 Some had cloud management support and robust features, others had gestures and distinctive interface elements. But while all of them could fill almost everyone's file management needs, there are a few other file-related functions that regular browsers don't do. That's where today's selection comes into play. 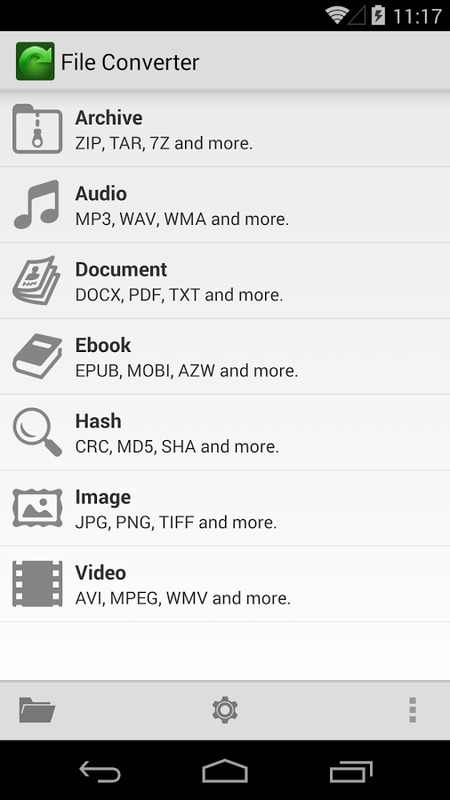 Whether you want to download, convert, sync, or send files, you will find an app here that handles that. 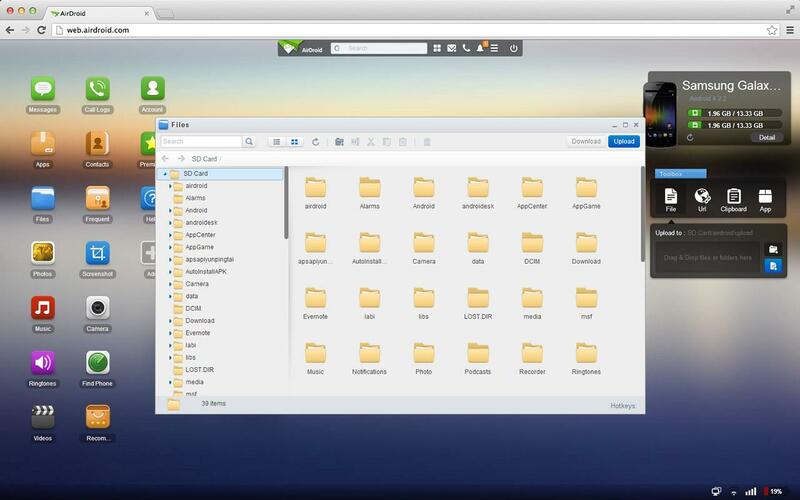 AirDroid shouldn't even need an introduction. 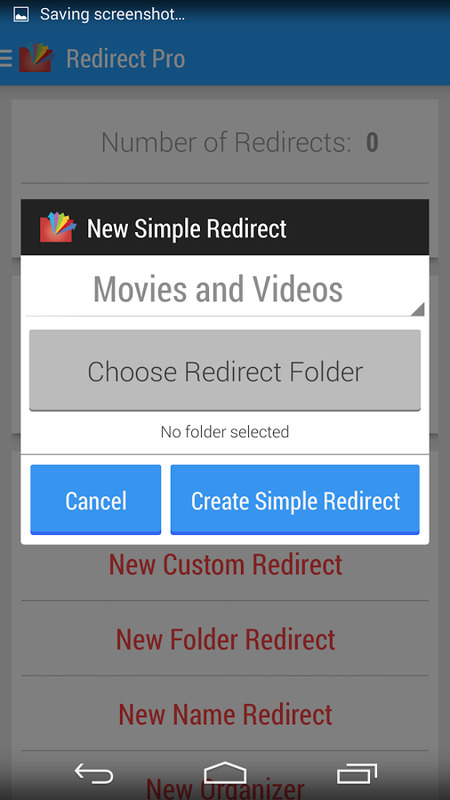 With over 10 Million downloads, it is one of the most popular utilities on Android and it deserves it. The app installs on your phone or tablet and creates a web-accessible dashboard that you can launch from any computer on the same network, whether it's running Mac OS, Windows, Linux, or Chrome OS. Dozens of options are available through this dashboard, like text messaging, app and contact management, screen mirroring, camera control, and text and URL sharing, but most crucial to us here are its file management tools. You can navigate through your device's storage from the browser andupload and download files, essentially the same as with any WiFi file transfer app. 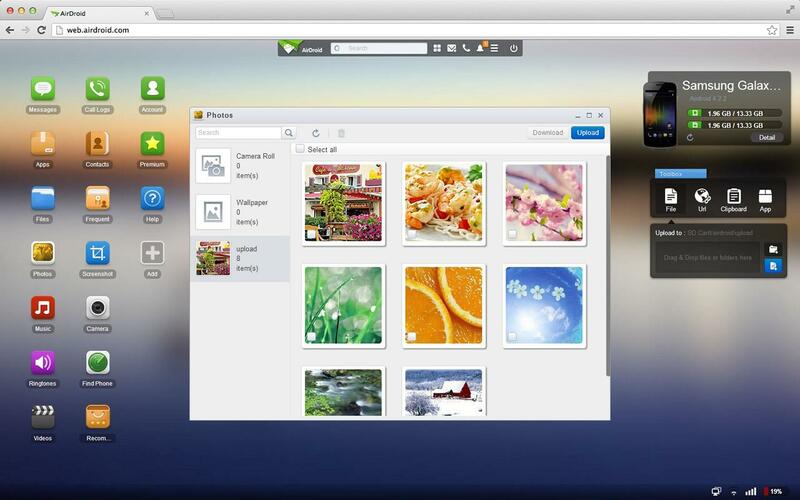 AirDroid also goes the extra mile to simplify media management. 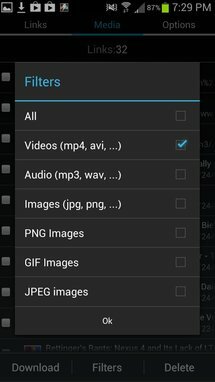 Separate hubs for ringtones, photos, videos, and music automatically organize these file types and let you preview them on the computer before (or without) downloading them. 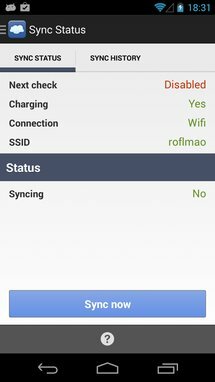 Features like this are why AirDroid is a well thought-out utility for anyone who often transfers files between their computer and Android device. 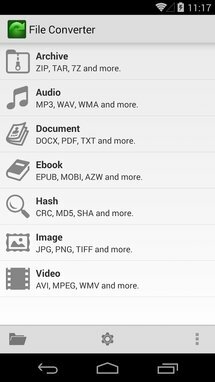 Every Android app manages files and downloads in its own way; some create their dedicated directories when you save a media file or document, others use the default Pictures, Movies, or Download folders on the internal memory. The problem is that you end up with your files dispersed everywhere, and when you open the gallery, for example, you have images in several directories — Camera, Bluetooth, Download, Beam, and more. 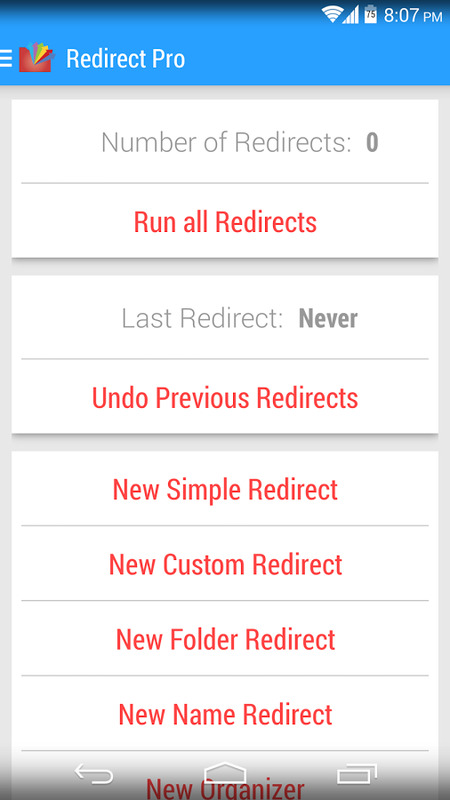 Redirect is the answer to these woes. 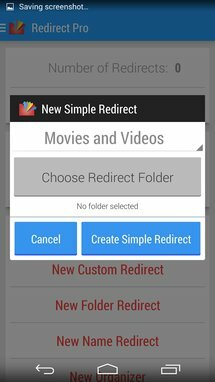 By creating automated actions for different file types, Redirect scans your device's memory and organizes files for you. 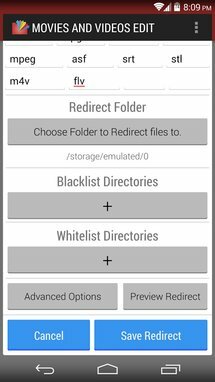 You can use simple redirects or more complex ones, choosing blacklist and whitelist directories, specific file types, and options to duplicate or completely move the files. 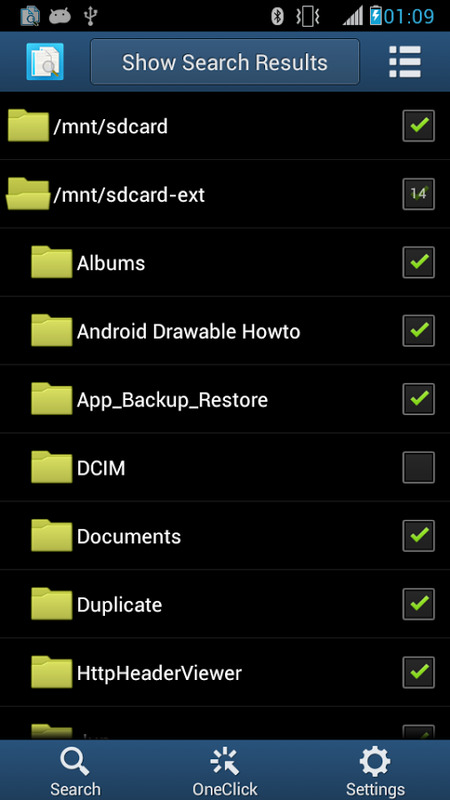 The last feature is very handy if you want to keep a backup of your photos on an SD card, for example. 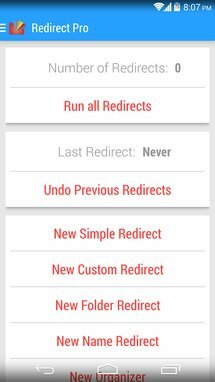 Other options include undoing your previous redirects, setting up the interval at which the app runs, and previewing redirects before applying them. Redirect is excellent, but the one thing you have to be aware of is that some graphic elements are wonky on Android L at this point. The app also has a Pro version with theme support, a widget, and an automatic cleaner for empty folders. Ever run across a website with files embedded and had trouble downloading them? GetThemAll solves that problem. 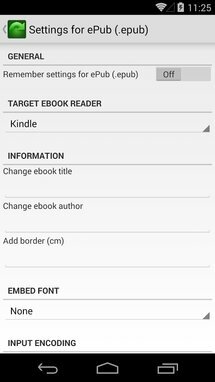 The app includes an integrated browser that can open any web page, and once it loads, a simple click on the arrow in the lower right corner will parse the page and find all the different files in it, including images, audio, video, PDFs, and more. You can then choose to download one particular file or all of them, and leave it running in the background. 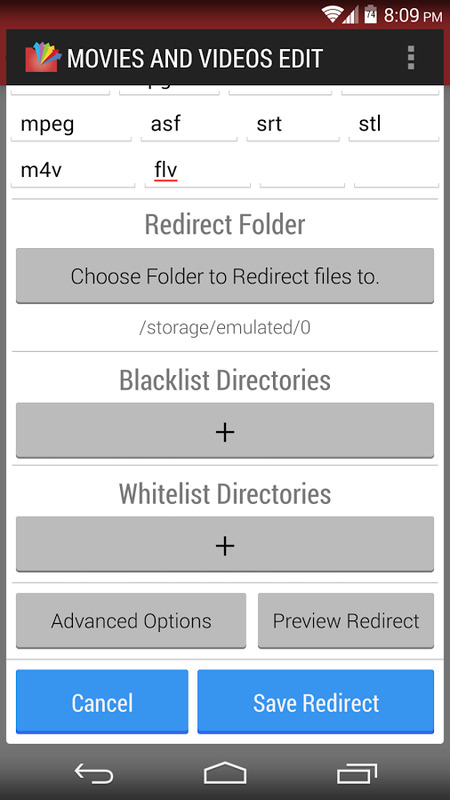 Downloaded files are sent into a personalized directory named after the site's address and date, and appear in a dedicated section of the app where you can manage them and send them to Google Drive or your computer. GetThemAll also integrates with the Share intent on Android, making it easier to share a page to the app instead of manually copying and pasting the address. Its main downside is its design, which mixes Holo elements with skeumorphic icons. 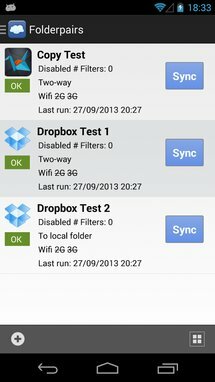 However, it remains one of the best apps in its category, with Download All as its most decent-looking alternative. Google+ and Dropbox currently allow us to backup our photos and videos to their services, but what if you wanted to use another service to keep your memories safe, or to bring your media back to another device, or to synchronize other file types with a cloud storage service? The answer is in FolderSync. FolderSync starts by being a basic file utility, with the ability to browse and manage your local storage as well as any cloud account you connect it to. 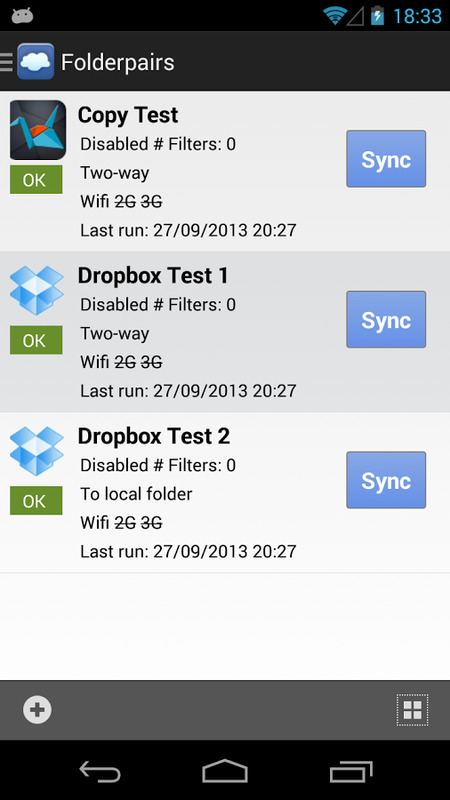 Dropbox, Google Drive, OneDrive, Copy, SugarSync, Box.net, Amazon S3, and many, many others, are supported. 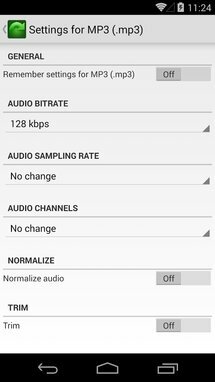 Then, it lets you set Folder Pairs (one in the Lite version, more in the paid app) which are a combination of a local folder and a remote folder that will stay synchronized one-way or two-ways. 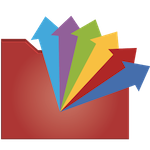 FolderSync comes with granular control over every sync aspect, from its schedule, to overwriting, deletions, subfolder and hidden file support, notifications, conflicts, and more. There's also a forced sync option if you need to trigger an action instead of waiting for the scheduled one, wakelock control, and a tablet-optimized interface, all of which make FolderSync a very complete cloud management solution. Let's get this out of the way first. File Converter doesn't do local conversions of your files, but instead requires you to upload the original file so it can convert it remotely, then lets you download the result. The app states that it doesn't keep any copies of your files, but you may want to refrain from using it if you are handling sensitive information. This caveat aside, File Converter is an incredibly powerful utility. It can handle video, image, document, audio, ebook, hash, and archive conversions across dozens and dozens of formats. 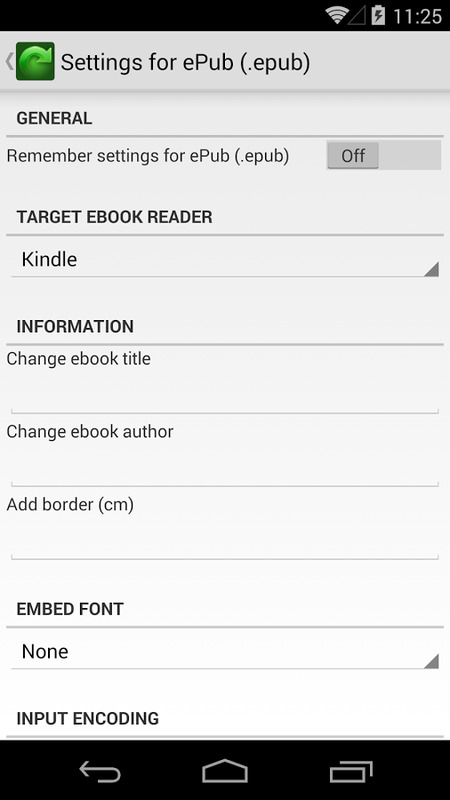 That .mobi ebook can become a .epub, that .wmv video can switch to a more friendly .mp4, that open office document might work better as a .docx, and so on. You get the point. File Converter packs a few more aces up its sleeves. 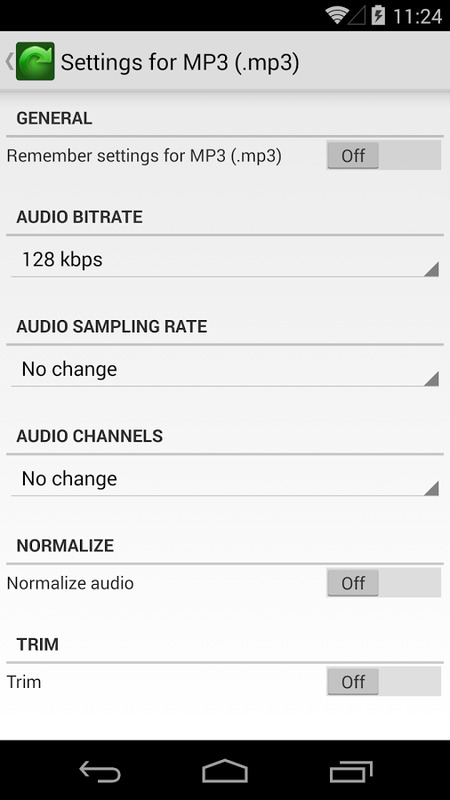 Music can be extracted from videos, OCR is used to get .txt or .pdf files out of images, and there are many editing options available for video (trimming, rotation, frame rate), audio (bitrate, channels, trimming), images (quality, size, basic edits), and ebooks (title, author). One limitation is that File Converter can't handle files larger than 100 MB in size. 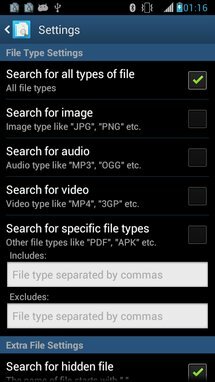 If you need that, you may want to look at The File Converter, an alternative app that manages files up to 1GB but only handles format conversions, without any added editing features. 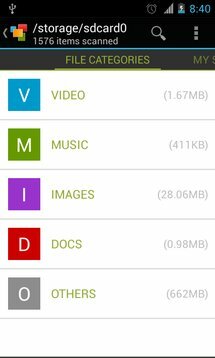 Thanks to media files getting higher in resolution (and size) and smartphone storage remaining limited with more and more hurdles for using external memory, our local storage often gets filled quickly. Android offers a basic solution for figuring out where most of your used space has gone, under the Storage section in Settings, but if you want more granular information, you will need an app like Disk Usage & Storage Analyzer. The app lets you visualize the disk usage on your local and external drives in a sunburst chart. Each section is a folder and is proportional in size to the space it's occupying. Tapping one shows you more information about the files and subfolders it contains. A long tap lets you delete or open the selected section. And if visualization isn't your thing, you can still see the division of your storage by file types, or browse a list of the 10, 50, or 100 biggest files. With all of these features, Device Storage Analyzer is completely free, tablet-optimized, and has a full file index to facilitate file searching and management. 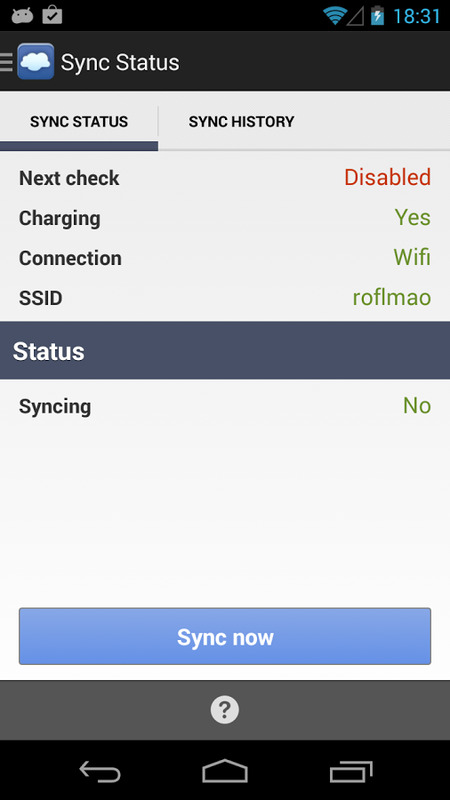 It's a simple and essential utility for those who keep running out of space on their Android phones or tablets. 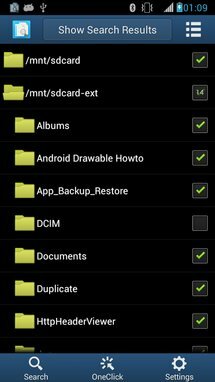 Even when you're being very careful, there's always the possibility that your Android device might contain some duplicate files. 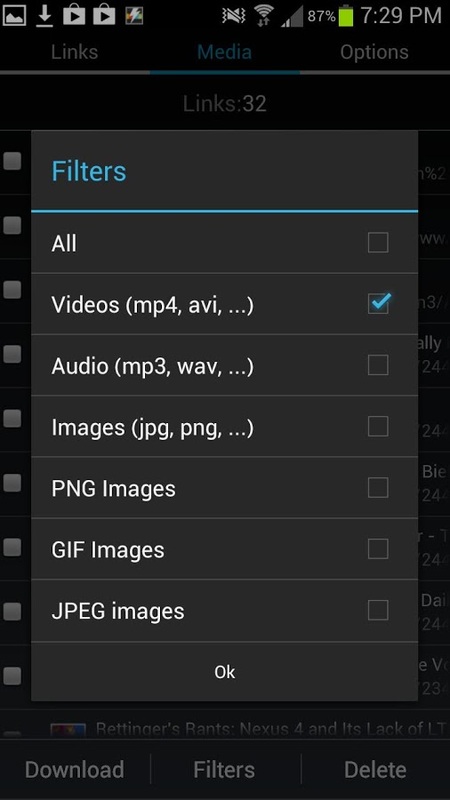 The image you received via an NFC Beam from a friend and email from another friend, the remaining directory of the free app you uninstalled after you bought the paid version, the music file you downloaded but had also transferred via Bluetooth, etc, they are all examples of unnecessarily occupied storage. Search Duplicate Files to the rescue! It will analyze your device for duplicate files of the same (or even different) name, and group them together in collapsed lists. You can manually view the content of each duplicate group, select the ones you want to discard, and keep one version of the file. There's also a OneClick search feature that will automatically select everything but the newest or oldest duplicate, making a batch cleaning process much easier. Search Duplicate Files offers a lot of control over the search, letting you specify file types and sizes, whether or not it should look at hidden files and folders, and limit the directories in which to perform the search. 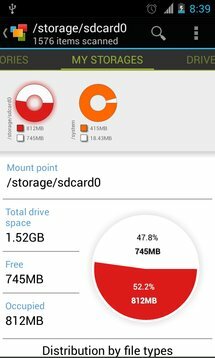 Like Disk Usage & Storage Analyzer above, it's a handy utility that is best used once in a while to clean unnecessary files from your device. Whether you keep your files synchronized with your computer or with cloud services, or want to stay in control of how they are organized and the amount of disk space they use, or even need to save or convert files from various sources, these 7 utilities should do the trick. We're always on the lookout for more file utilities, so if you have more recommendations, please let us know.